Your motorized RV is a vehicle and will need standard vehicle insurance. However, it may also be your home, and this will require more insurance should you suffer a catastrophic loss. To make sure you’re covered, talk to your insurance expert about the amount of time you spend in your RV and your long-term travel plans. Your RV will need to be insured with all of the coverage that is necessary for a vehicle: liability to protect you if someone else is injured, collision insurance in case you have a wreck, and comprehensive to cover everything from vandalism to falling rocks. In some states, it may also be necessary to carry uninsured or underinsured motorist coverage. Be sure to know the laws in your state of registration. It’s critical that you carry proper insurance to protect you and your passengers. Once your RV is paid off, you may get the chance to lower your insurance rates by reducing your coverage. If this unit is your home, be very careful about lessening your insurance protection. You don’t want to find out after an accident that discount insurance has left you out in the cold. 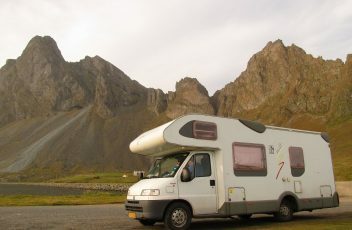 Full-time RV insurance can include total loss protection on things both inside and outside the RV. For example, if you have a satellite dish, total loss protection would likely cover it. RVers who plan to use mobile solar patterns will need to consider this protection seriously; solar systems are expensive to install and will need coverage in case of theft or wind damage. Remember that you may well have some costly items in your RV. Jewelry, collectibles and rare objects have a cash value and will need to be covered. Also, keep in mind that you may need coverage for items in storage units back home. Check with your RV insurance agent about adding this coverage for anything that didn’t fit in your RV. Towable RVs have liability insurance extended by the coverage of the hauling vehicle. However, full-timers will want an additional review and extra coverage for their home, even if it is attached to a car. 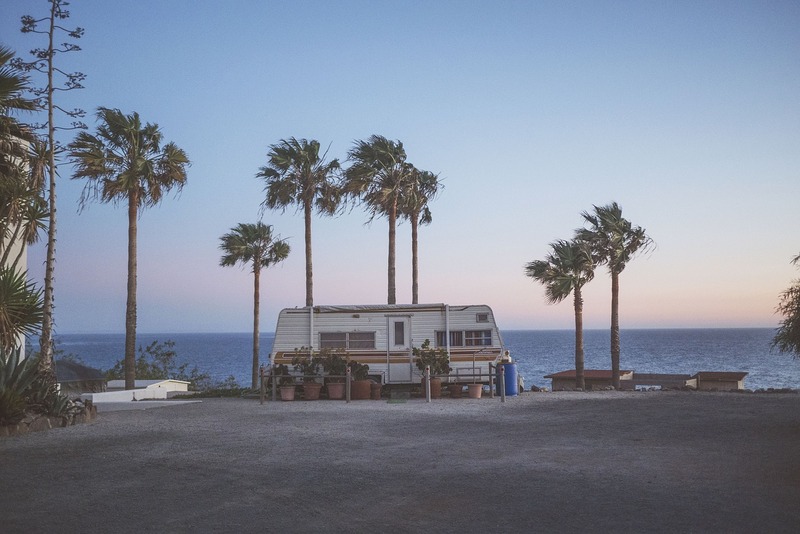 There are plenty of ways to reduce your expenses if you’re full time in an RV; the lowest cost insurance may be a terrible mistake should you lose your trailer to fire or theft. How Long Do You Have To Be On The Road To Be Full-Time? 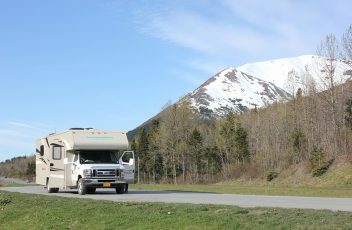 Any insurance provider can’t write RV insurance policies; if you’re on the road more than five months per year, be ready to purchase full-timers insurance. An RV is a large investment; if it’s your home, proper insurance is critical. Find an agent that can help you write an RV policy and make sure you understand exactly what happens in case of accident, theft, fire or natural disaster. To learn more, visit this site. Whether it’s your home away from home or your home all the time, you need the right coverage! Tiny spaces are becoming very popular. RVs provide a double benefit to tiny living with the ability to travel at any given time. Whether you are planning on using an RV as a vacation home on the lake or planning on seeing the USA, check out these space-saving tips from Imperial Moving and Storage NYC to make your home on wheels ready to roll. If you’re contemplating living full-time in your RV, then it’s time to think about downsizing your belongings. As with any move, Imperial suggests getting rid of things before you move-in. 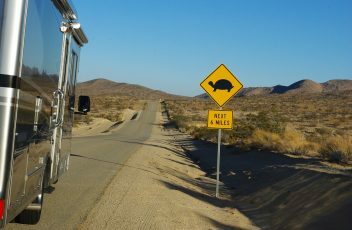 Since space is especially limited in an RV, take only what you need on the road. Sell or donate unwanted or unused belongings, then rent a storage unit for items you can’t take with you, but might want for a future home, like furniture, china, and heirlooms. Spice Gripper Clips – These plastic strips have bonding tape that sticks to inside cabinet doors, refrigerators, walls or any bare spot. They hold 4 to 5 standard spice containers with grippers, so your spices are secure and easily found. Curtain Tension Rods – Cabinet space is always quickly filled. Get creative and place curtain tension rods vertically to hold skillets, pan lids, dishes and other items inside your cabinets. Over-the-door Trash Container – Floor space is essential when living in tight quarters. Take that trash container and mount it inside a closet or cabinet to keep it from taking up space. Mounted Shampoo and Soap Dispensers – Fill these up with shampoo and soap and never worry about storing large bottles. Towel Holders – We learned this one from our NYC apartment movers. Use a hanging shoe caddy to store bulky towels. Simply roll them up and place in the compartments. Keep them in your clothes closet and remove as needed for the bath. Caddy Night Stand – Caddy nightstands come in a variety of materials and organizational pockets. Some have large lips to hang over furniture or to tuck under a mattress. This can eliminate the need for an extra piece of storage furniture. Velcro Remotes – Use Velcro strips to keep track of the remotes. Place one strip on the back of the remote and another on a designated spot. There will be no worries about where they were placed. Mounted Broom Holders for Flashlights – Whether you keep your flashlights in a closet or next to your bed, use a mounted broom holder to snap in your flashlight. They will be safe from rolling around or being misplaced. Peel and Stick Cord Organizers – Small spaces can be dangerous for hanging cords. Whether it is a coffee maker, laptop or generator, make sure those cords are secured against a wall and away from moving feet. Suction Cup Hooks – Hooks can be invaluable when you need a place to hang an item. Keep a good supply of different sizes on hand and never make another nail hole. Collapsible Laundry Basket – When all of your clean clothes have been put away, where can you store that huge laundry basket? Purchase a pop and load laundry basket that collapses to a mere 3 inches in depth. When living small, it pays to get creative with your storage solutions. 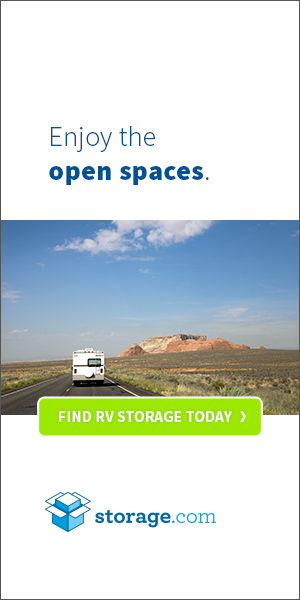 The more time you spend planning and preparing for RV life, the happier you’ll be with your new living arrangements.